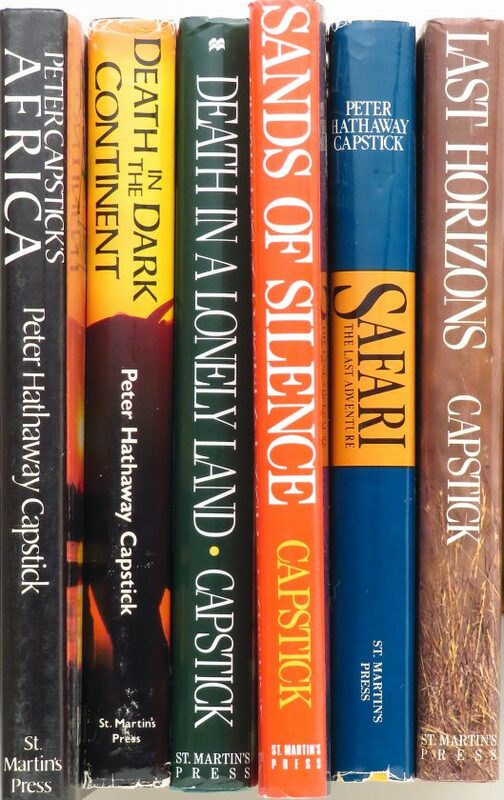 Capstick, lot of six titles, St. Martin's Press, most first edition, excellent - Sportsman's Legacy, Fine firearms, related books and sporting collectibles. Representing estates, collectors and nonprofit conservation organizations. Lot of six books by Peter Hathaway Capstick and published by St. Martin’s Press. All remain in excellent condition. 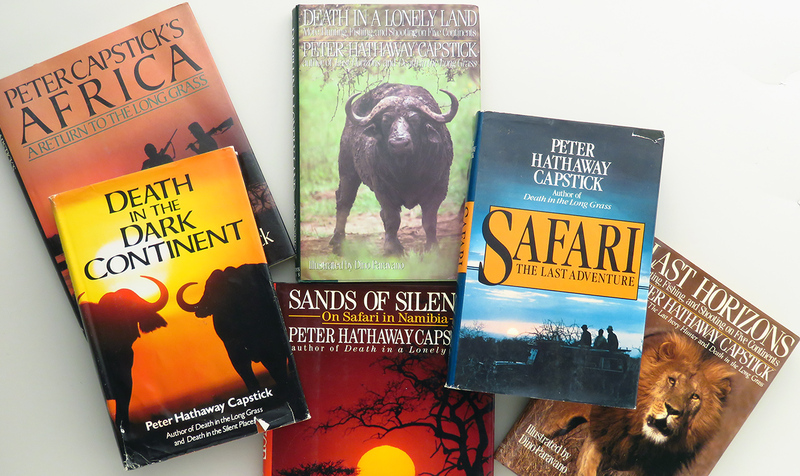 Peter Capstick’s Africa, stated First Edition, excellent; Death in the Dark Continent, 1983, stated First Edition; Death in a Lonely Land, 1990, small ink spot on bottom; Sands of Silence, 1991, stated First Edition; Safari, The Last Adventure, 1984, stated First Edition, chipped dust jacket; Lost Horizons, 1988, stated First Edition. The price is firm. $175 plus media mail.